BLUETOOTH V4.1 UNIVERSAL COMPATIBILITY: With latest Bluetooth 4.1 technology, provides more stable connection signal transmission. 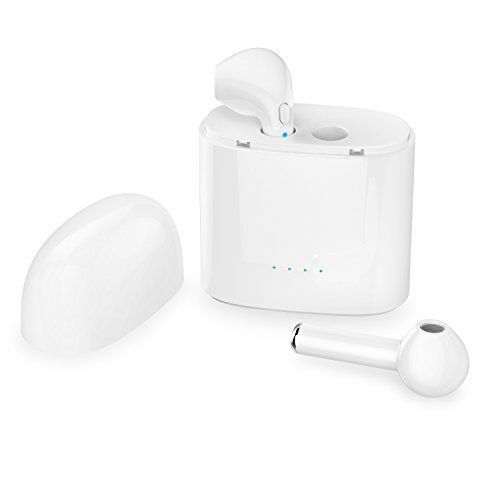 The earbuds work with all smartphones, tablets and bluetooth enabled devices.Compatible with most Bluetooth enabled devices, such as Apple iPhone, Android Samsung, etc., pairing up just take a few seconds. Any question, please contact seller, we'll try our best to resolve it as soon as possible. Compatible with Apple iPhone 6/6S/7/8/X, iPad, Notebooks, Samsung, Android, LG, etc.